Shiffrin had just about wrapped up her first World Cup overall title — a crown that makes her, on paper at least, the best ski racer in the world. “I don’t know about you. But I’m feeling 22,” Swift sings as Shiffrin struts and spins on the hotel balcony. To that point, Shiffrin had won an Olympic gold medal, three World Championships and 31 World Cup races. At first glance it would seem that, for Shiffrin, 22 feels a bit different than most. In a sport where races are routinely decided by several hundredths of a second, Shiffrin has won World Cup slalom races by as much as two seconds — a monumental margin against the best skiers in the world. What makes her so good? 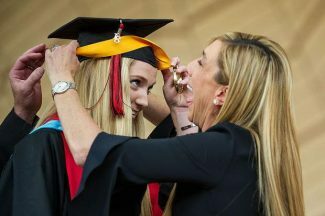 Her natural talent is matched by her work ethic and drive to succeed, said her coach, Mike Day. 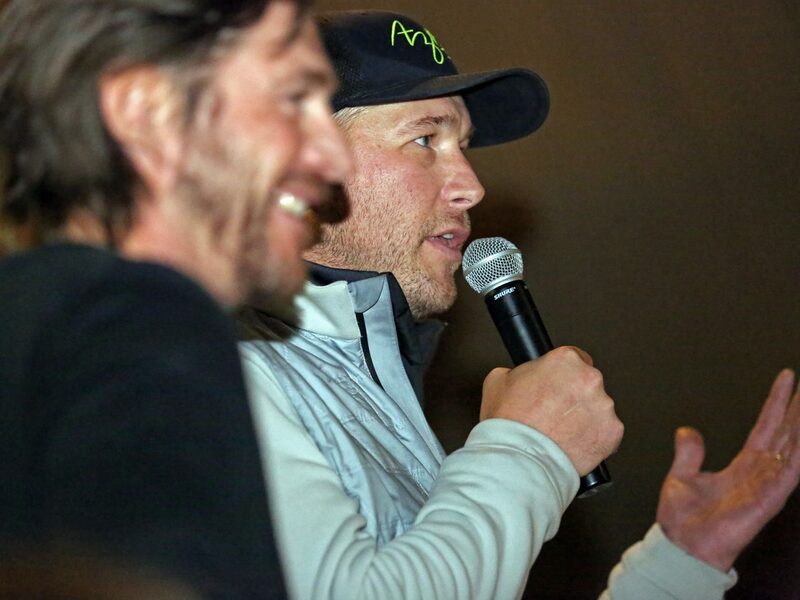 Shiffrin was born in Vail, skied as a kid with Ski and Snowboard Club Vail, and the family now lives in nearby EagleVail. Her mother, Eileen, and father, Jeff, instilled in her a methodical approach to getting better each day. Mikaela Shiffrin arrived in Sochi midway through the 2014 Olympic Games, a teenage phenom ready to make her mark on the Olympics. Shiffrin went on to win the gold medal in slalom in Sochi, the youngest slalom champion in Olympic history. In interviews after she won the gold medal, she was already looking toward the 2018 games, telling reporters she dreamed of winning five gold medals in the PyeongChang Olympics. Nearly four years later, Shiffrin doesn’t regret making the five-gold-medal statement. But she takes a more nuanced approach to her ambition. Shiffrin is no longer a teenage phenom. She has dominated the slalom discipline, winning yearly titles since 2013 — except for an injury-plagued 2015-16 season. For most of 2015 and all of 2016, she won all 12 World Cup slaloms that she entered. 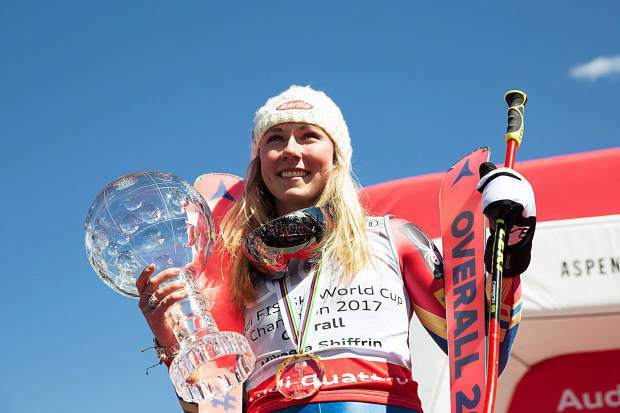 From the very start of her career, things seemed to come easy to Shiffrin. She burst on the scene in March 2011 as a 15-year-old with her first World Cup appearance, landing on the podium by December of that year and winning her first race in 2012. Early in her career, she had been so relaxed before races that she had napped in the snow minutes before the start. But, especially at the beginning of her 2016-17 overall-winning season, she started experiencing nausea before races. “It hugely had to do with how much I was listening to other people and letting other expectations sway my own motivation and also letting my own expectations be more results-based vs. focusing on my skiing,” she said. In the birthday video, Shiffrin continues down the hallway, dancing with an empty luggage cart. “We’re happy, free, confused and lonely in the best way. It’s miserable and magical,” Swift sings. All of the success builds Shiffrin’s confidence — but it also sows a fair bit of doubt over whether she can keep it up. Yet Shiffrin keeps winning, and has expanded her success to giant slalom (four World Cup victories), combined (one victory) and super-G (a fourth-place finish). 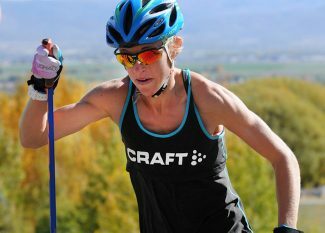 A student of the sport, she has often studied the techniques of the best skiers — including her idol Marlies Schild, the longtime Austrian slalom specialist. 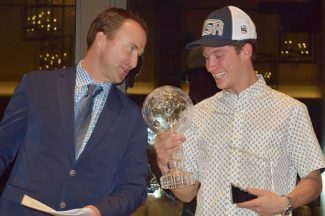 Now Schild is retired, and Shiffrin sits atop the skiing world. She has always returned to her mantras: Make better turns. Get better every day. She has repeated those sayings since she was a 15-year-old rookie; since she was a little girl skiing with her parents on Vail Mountain. Shiffrin acknowledges that she could retire today and be considered one of the best ski racers ever. She’ll be a favorite in PyeongChang in three events — the slalom, giant slalom and alpine combined. Whether she competes in all five events will depend on whether she can qualify for spots in the downhill and super-G among the talented U.S. speed team. This time around, she doesn’t exactly say she hopes to win five gold medals; yet she doesn’t disavow the statement of her 18-year-old Olympic rookie self. “My ideal result would be winning medals in the disciplines that I compete,” Shiffrin said.